This project focuses on using typography in multiple contexts, ranging from highly informational to expressive. 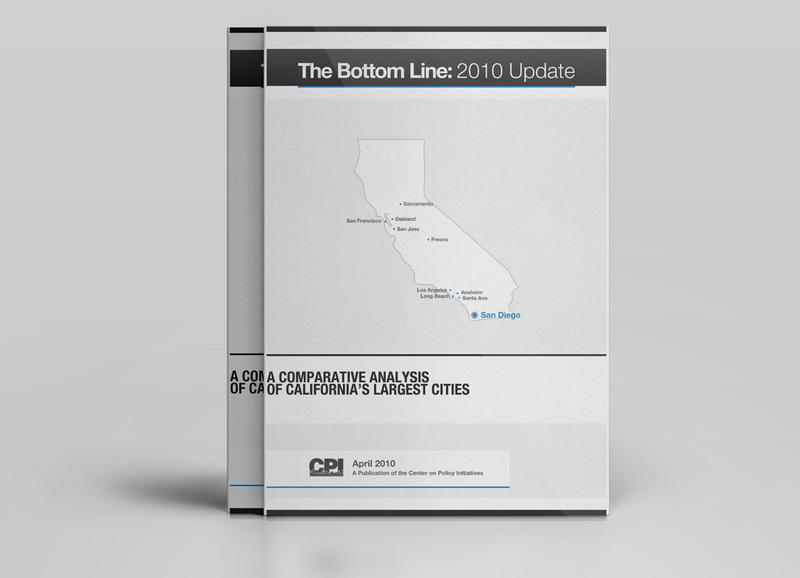 This new PDF Report is an update to the 2005 Center on Policy Initiatives publication “The Bottom Line”. 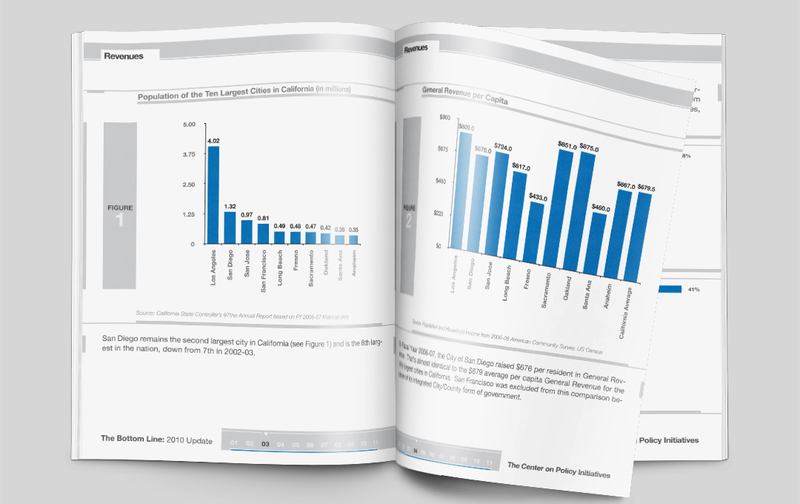 The main purpose of this Report is to establish a pre-recession baseline for San Diego general government revenue relative to other large cities in California, using the latest comparable data source from the California State Controller.